Hi! It's Jilly. As I said on Monday, my husband and I just got back from an awesome vacation together. Between my point-and-shoot, hubby's "real" camera, and both our phones, we have a TON of pictures to share from our trip. I made some collages to make it a little easier to digest. Ha ha ha! I figure it will be easier to recap the trip in stages. The first recap is just of the cruise itself. Then I will do other posts about our days in port and our days in Orlando. Both the Hubs and I had never been on a cruise before, so we were reeeally excited to go. 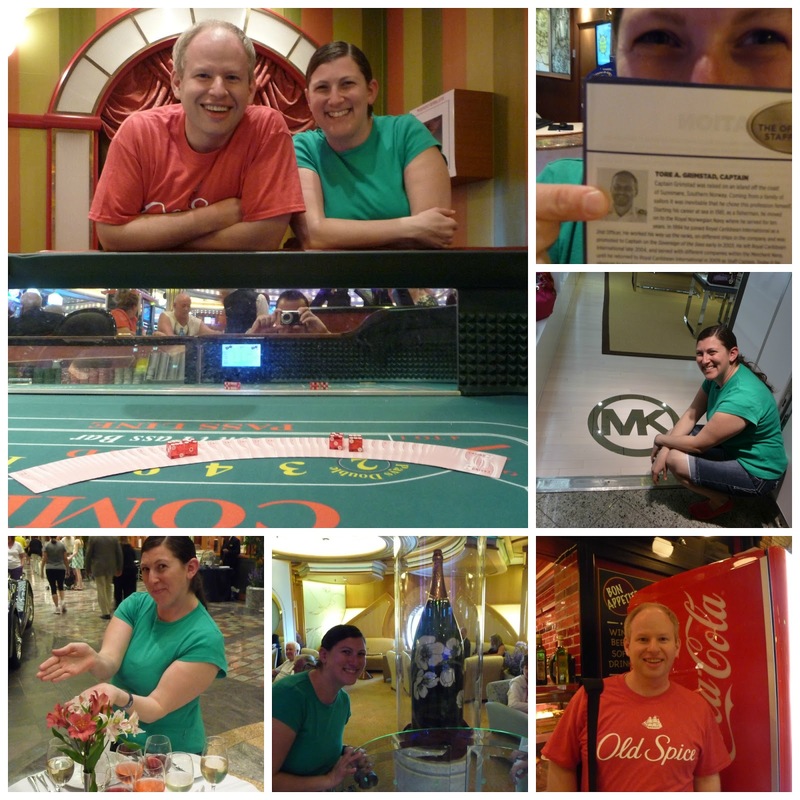 This trip was a celebration of a lot of things- our 10 year anniversary, Scott's graduation from med school & getting a residency, and making it almost 8 years with triplets! 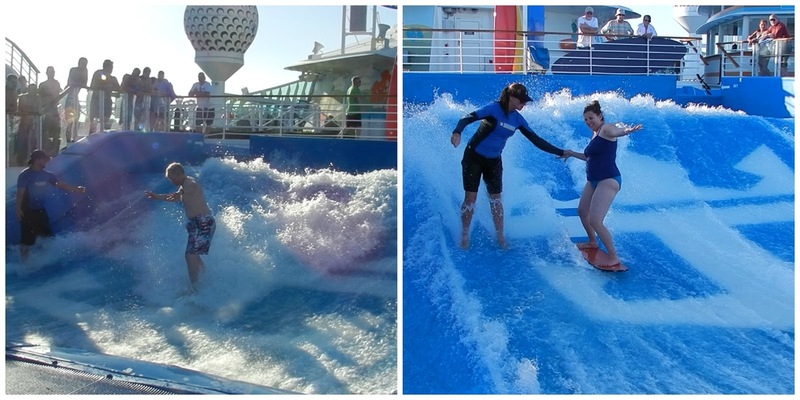 The cruise was AWESOME! Cruise ships are so weird. They are so big that you feel like you're inside a hotel or a mall, but it's a boat. Totally weird, but cool. 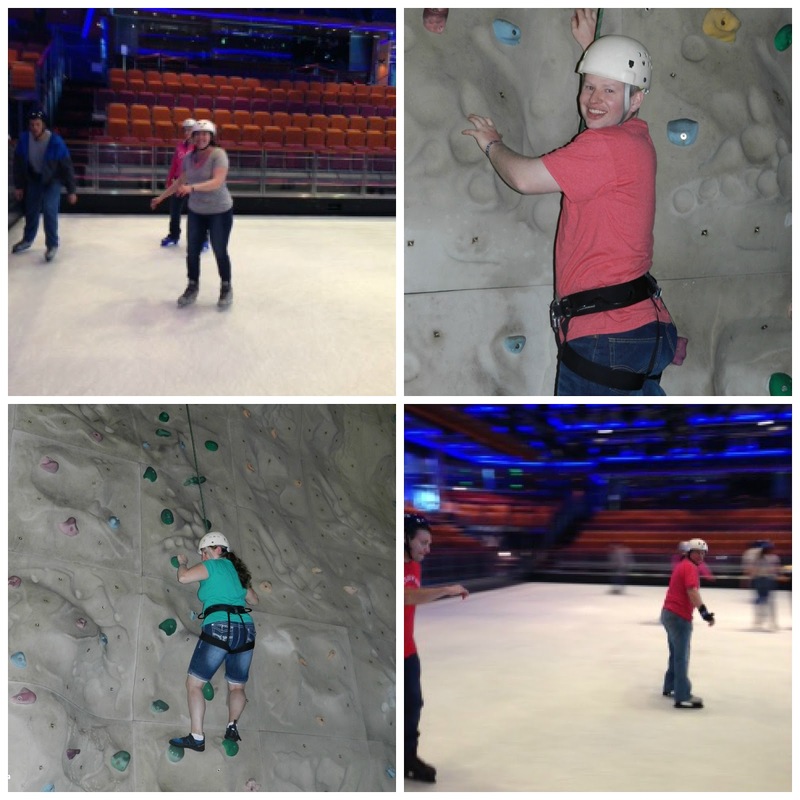 We went on Royal Caribbean's Freedom of the Seas, and it had SO many fun things to do! A rock climbing wall and an ice skating rink! Funny that my first time ice skating was in the middle of the ocean. Ha ha! Games and contests. We did a digital scavenger hunt around the ship and got second place! Every night we had dinner in the main dining room. We opted to be at a table with 3 other couples, but one couple never showed up for dinner. It was so fun! The two other couples at our table were from England, and it was so neat getting to know them. Even though we were at different stages in our lives (their kids are grown up), we still had a lot to talk about and had some things in common. And, it was nice to see a 'familiar' face every evening and talk about what we'd done that day. On the ship they also had great shows every night. There was a Broadway revue, a magic show with a magician from "America's Got Talent", a musical production, an "Abba" concert, a comedian, and a Cirque du Soleil-type show. Crazy! 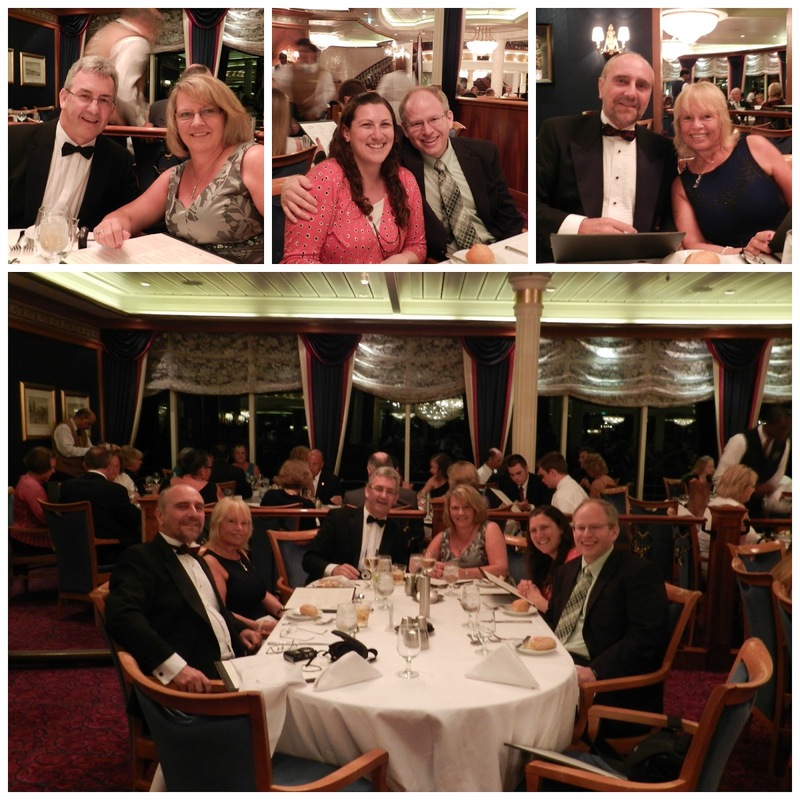 Other great things about the cruise- the FOOD! and the awesome views! Follow me on Facebook or Pinterest, you know, if you want to. Ha ha! Wait, what about Google Reader??? I mean, that looks like an awesome and fun trip, but what??? very cool! 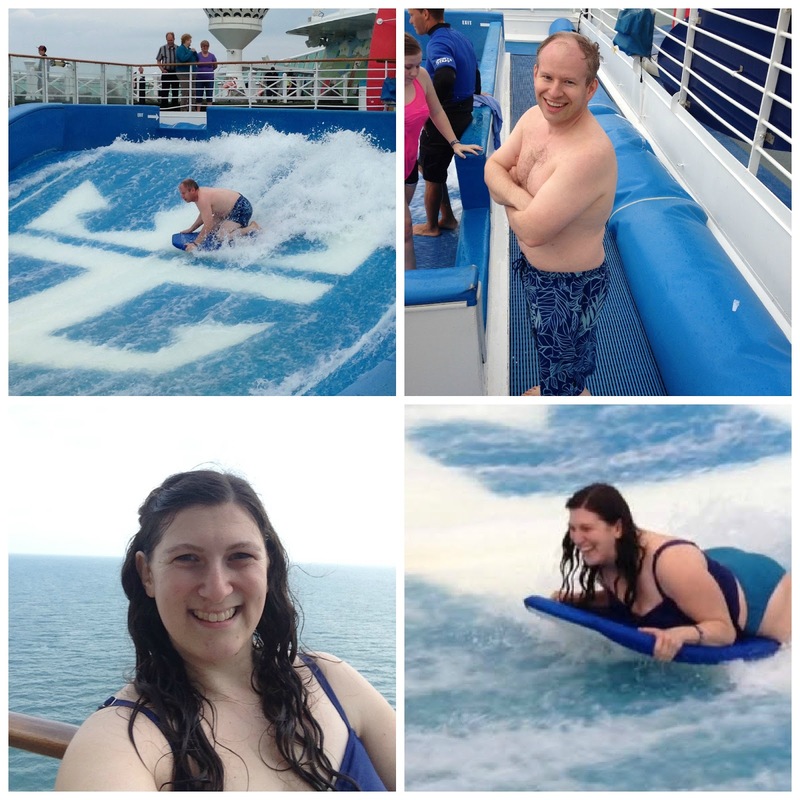 I love cruises and i'm excited to hear more about yours!